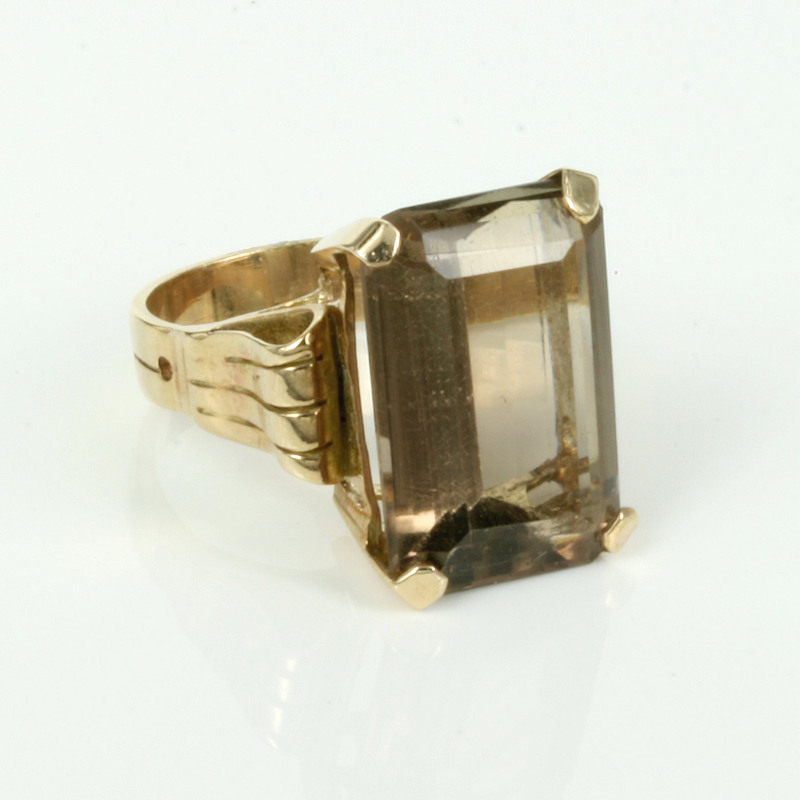 1950’s era Retro smoky quartz ring. 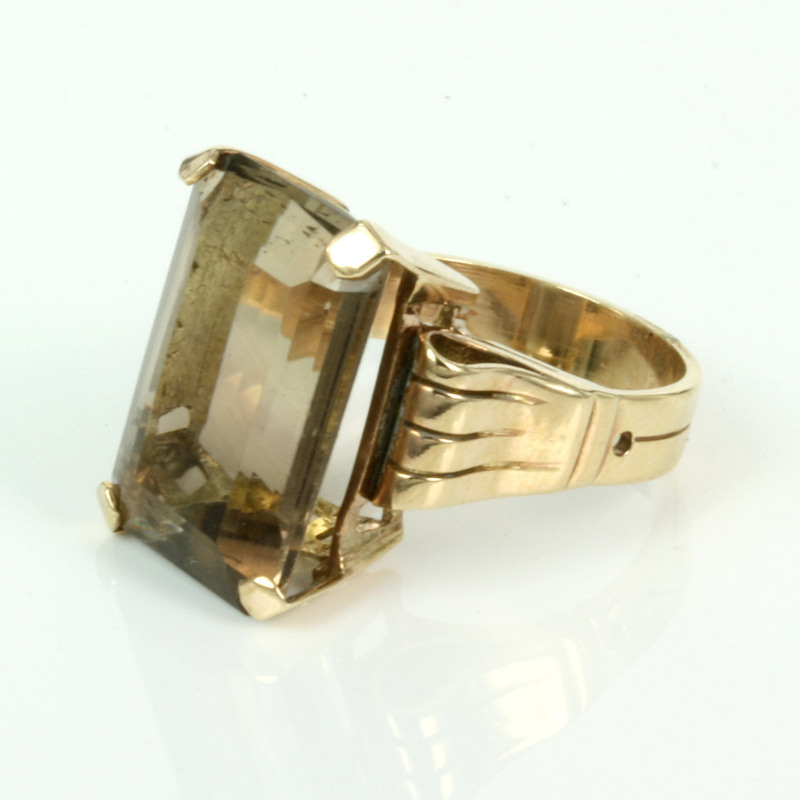 Smoky quartz is of course as the name suggests from the quartz family, the same one that gives us amethyst and citrine, and here is not only a large sizes smoky quartz, but a ring dating from the 1950’s retro period as well. 1950’s retro jewellery is easily defined as quite often having large bold designs matched perfectly with large gemstones set into rose gold. This ring has all of these characteristics and is so typical of the big bold retro jewellery that has seen a massive resurgence in popularity in recent years. Set with a gorgeous 12.50ct smoky quartz, the cut is gorgeous with the straight sides which lead perfectly into the setting of the ring. Measuring 19.4mm by 13.5mm this smoky quartz sits so proudly and even the 9ct rose gold band has simple yet refined engraved lines leading all around the ring. Sitting loud and proud on any finger, this rose gold Retro era ring is simply fabulous and to be worn and shown off as often as possible!